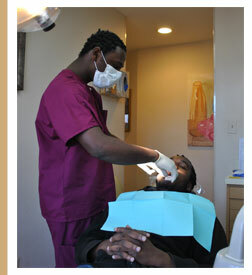 Dr. Keating wants to provide you with quality dental care that fits into your budget. For the convenience of our patients we accept cash, personal checks, money orders, cashiers checks, VISA, MASTERCARD, DISCOVER & CareCredit. CareCredit is a flexible patient/client payment program, specifically designed for healthcare expenses, that makes it easier for you to get the treatment or procedures you want & need. CareCredit is ideal for co-payments, deductibles, treatment & procedures not covered by insurance and can be used at over 35,000 practices nationwide. With CareCredit, you pay no up front costs, no pre-payment penalties & no fees. Plus, CareCredit is a revolving credit line for additional treatment or add-on charges, without the need to re-apply. Click here to visit CareCredit’s website. As a courtesy to our patients, we will file insurance claims. As long as you have at least a PPO plan and can choose your dentist, then we will research benefits, file your claim & estimate your portion for the procedure. We are preferred providers for Aetna, Cigna, Met Life, Delta Dental, United Concordia, Care First BC/BS, United Healthcare and Mamsi. If you have insurance that we do not participate with, we will still process your insurance claim for you. However keep in mind your benefits will be reduced. Please realize that dental services are provided to a person, not an insurance company. We treat our patients based on what they need, not solely on what their insurance will cover.